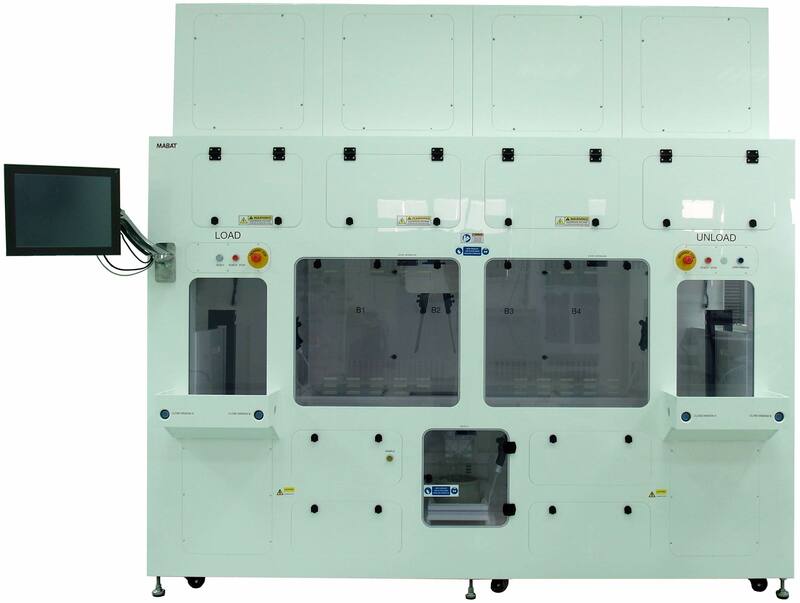 The Automatic Wet Bench is designed for etching and cleaning Wafer units. A robot moves a cassette containing Wafers between the different chemical baths according to a predetermined recipe. Each bath in the Automatic Wet Bench is operated and controlled via a HMI touch screen that displays its status and enables selecting and setting all the necessary parameters for the operation. 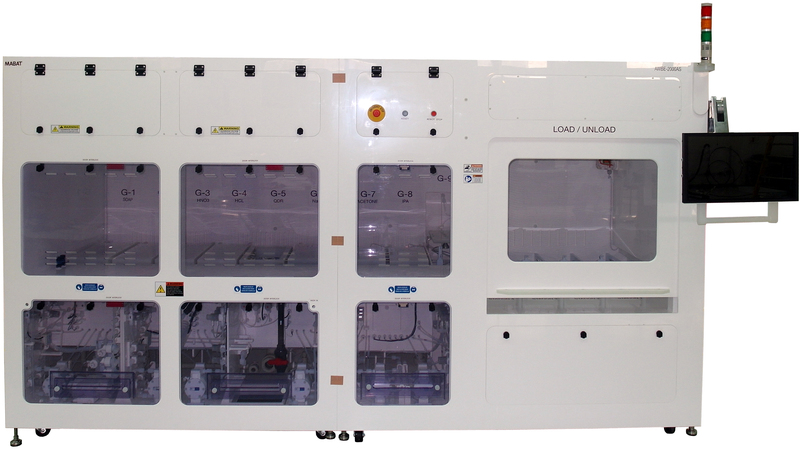 Dedicated access doors and panels are provided to facilitate service tasks all around the Wet Bench. The Automatic Wet Bench is designed for chemically treating delicate parts by bathing them in different chemical baths. The parts are placed in a dedicated jig which in turn is housed in a conveying box. A robot moves the jig with the parts between the different chemical baths according to a predetermined chemical recipe. Dedicated access doors and panels are provided to facilitate service tasks on the front and at the lateral sides of the unit.